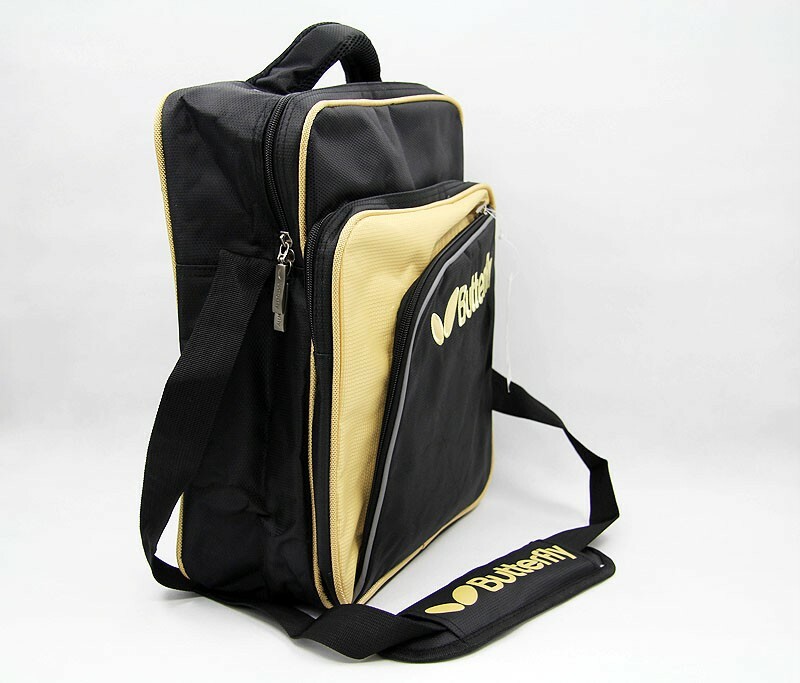 Butterfly TBC-854 Stylish Shoulder bag is a waterproof bag which offers you plenty of storage. One large main area for storing your shoes, towel, bats… and two smaller compartments can be used for your rubbers, pens, books, keys and also some of your small stuffs which need to be organized while you are playing on court. You can store your water bottle on the side of this bag and in the bag there is a shoe bag attached. Even more, there is an external easy-access bag on the back of this bag. It comes with a padded shoulder strap.